Trust in Eagle Auto for 24/7 Emergency towing and complete collision repair and restoration. Break down or have an accident? Eagle Auto Service and Collision offers 24/7 towing. 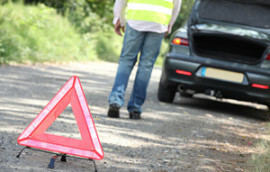 We go above and beyond to make sure you’re safe and back on the road as soon as possible. We support our service men and women, past and present! We take pride in our work and our country! Located in McKean, PA just off I-79 exit 174. Minutes from Erie, Edinboro and Meadville, PA.
Don't let an accident or roadside emergency keep you off the road. 24/7 Emeregency Towing. 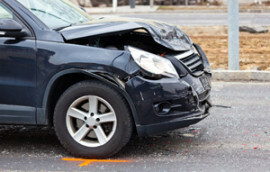 Our highly qualified collision team will restore any degree of accident damage on your vehicle. Don’t let an accident keep you off the road. From a small scratch to a full out restoration, Eagle Auto’s professional collision experts will get you back on the road fast. Regardless of the reason, when you need a vehicle towed, you want to know that someone will be there to help. Eagle Auto’s 24-7 towing services are here to help, keeping you safe. 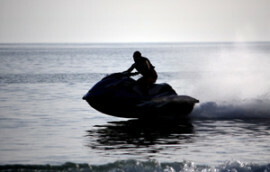 Did your jet-ski, boat or RV suffer a dent, ding or develop a hole? Need professional fiberglass repair? Trust the collision experts at Eagle Auto to keep you having fun! We are your “one stop shop” for auto body repairs! We service all makes and models of cars, trucks, RV's, motorcycles, and boats. Our highly qualified staff is experienced in collision repair, auto body repair, auto body painting, and 24/7 emergencytowing. We honor all insurance claims and communicate directly with your insurance company. You can trust us to complete the repairs on your vehicle properly and quickly, so you can get back to your regular schedule! At Eagle Auto Service & Collision Center would be proud to help you with your collision repair. Our staff has extensive experience in collision restoration and takes great pride in getting your vehicle back to "as-new." Eagle Auto Service & Collision Center honors all insurance claims. Below is a list of our available services. I was very pleased with the work I had done a Eagle Auto with both of my vehicles. I was impressed with the fast and friendly service. Eagle Autos prices are very competitive,and they always offer all services with a smile! I have a 2003 Pontiac Sunfire that has a lot of miles on it but is in good shape other than some significant denting and paint damage. My dents were repaired to perfection and a new paint job was done. My car looks like it is brand new again! I would recommend this place to anyone looking for quality work. The quality of service was top notch. From the repair work to customer service. When I arrived at Eagle, they already had my rental waiting and didn’t waste anytime getting the repairs done.